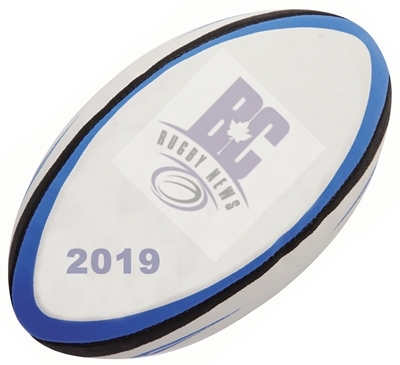 Our Week 1 review is here but today the MLR released their First XV for Week One and there are four Canadians on the list. Second Row Josh Larsen of Austin, both flankers John Moonlight Toronto and Kyle Baillie New Orleans. Rounding out the selection is Brock Staller at wing from Seattle. Readers may or may not be up to date on this, it has hit the news off and on but we didn't bother covering it as it seemed speculative. This week there's a meeting of the Tier 1 rugby executives in LA so it seemed a good time to bring it up. The best article we've seen on it is from NZ in the link below. Basically they're thinking of rejigging the test schedule to bring the top 12 teams into a World League structure instead of the random June and November tests that exist now. The best of the Six Nations vs the Rugby Championship, one country declared the winner each year. Not all of this has been spelled out clearly yet, some of it is speculation but that seems the basic concept. The worry for Tier 2 countries seems to be that they'll be stuck playing other Tier 2 countries and won't get the big invite to Twickenham or Millennium Stadium - or they won't get the attractive visit from a Tier 1 country to line the coffers of the national union. The article brings out the fact that indeed there are 6 northern countries in the 6 Nations but only 4 in the Rugby Championship so who would be invited, Japan and Fiji? And what about promotion & relegation, would USA if it's the best of Tier 2 as proven in the ARC(??) be able to play Japan to be included the following year? Would Georgia be able to play Italy if they were last in the 6 Nations? Lots to consider before this even gets to the next stage of discussions. From Canada's perspective, the June and November tests are getting a bit stale, once in a while a visit from a Tier 1 country in June, inevitably lost. The requisite match vs USA. The November trips to Romania and now as Canada's ranking plummets new destinations such as Spain, Portugal and Germany. It would be nice to make the ARC more meaningful by giving the winner a chance to aspire to something more in the progression to the Top 12 teams. Also aligning domestic competitions to provide a meaningful shot at making the ARC team. The MLR has changed the dynamic, time to rethink how a player gets a shot at the national team, the identification and selection system seems too slow, there needs to be more opportunities for players on form to showcase their skills against those being selected. There are about 40 Canadian players in the MLR, most of them from Ontario now with the Toronto Arrows. There are about 200 American players in the MLR. Simple math indicates if the MLR is the only domestic pathway then Canada loses more ground to the USA. The Tier 1 countries are rethinking their model to maximize profit and remove meaningless games for their players. Some of that money will trickle down to Tier 2 countries, it already does but they're saying it could be more if they make more money. That's the official line anyway. It's time for Tier 2 countries, like Canada, to rethink their domestic and international models to see where it can be improved.